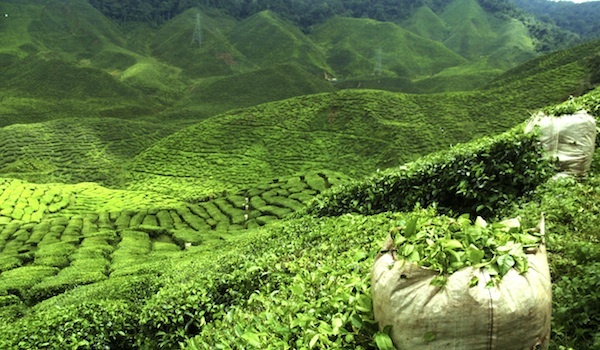 Offering mountainous terrain, lush vegetation, and incredible vistas, India’s plantations are a draw for nature lovers and tea drinkers alike. Growing more than just Darjeeling, the country’s innumerable tea farms produce some of the finest and most delicate varietals in the world. 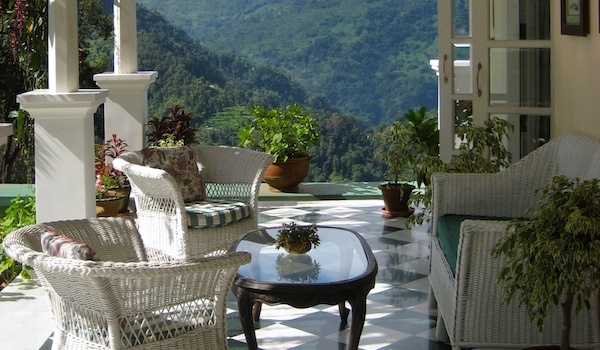 For a tranquil escape into nature (along with plenty of cups of chai), visitors to India shouldn’t miss the opportunity to stay on one of these estates – we’ve selected seven of the best tea plantation hotels in India. Home to almost a quarter of India’s overall tea production, a holiday in Darjeeling offers incredible views (it’s situated in the Lower Himalayas) alongside its characteristically fragrant and subtle tea. The Glenburn Tea Estate, a boutique hotel and retreat poised above the scenic River Rungeet, was restored a decade ago to become one of India’s best tea plantation hotels. These days, the hotel offers bungalow suites outfitted with verandas, fireplaces, and all necessary little luxuries. Unsurprisingly, Glenburn tea is on offer at the on-site restaurant, while special dishes like tealeaf pakoras take advantage of the region’s bounty. Surrounded not only by fields of tea but also by cardamom and coffee plantations, the Vivanta by Taj Madikeri occupies a lush area of India that blends mountainous geography with thriving rainforests. Wedded as it is with its surroundings, the eco-friendly hotel is constructed from sustainable and recycled materials and offers dishes cooked with locally-sourced ingredients in its restaurants. For the more supine guests luxurious spa treatments relax the knots, while the more adventurous scan go biking and ziplining in the rugged terrain. Located in wild Kerala on the edge of the UNESCO Heritage-labelled Western Ghats, the tranquil Windermere Estate has hosted manicured tea gardens and expansive plantations since 1886. This quintessential tea plantation hotel overlooks the fields of green, the minimalist retreat evokes an era gone by with its gabled roofs, terracotta floors, embroidered linens and quiet garden views. The northern state of Assam, which borders Bhutan and the eastern branch of the Himalayas, is renowned for its rich natural surroundings as well as its wealth of wildlife – wild rhinos, tigers, and elephants can all be found here. 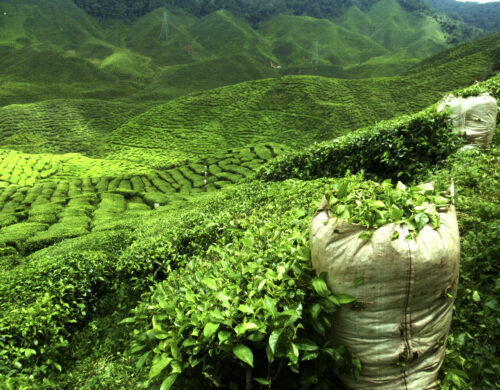 It’s also equally famed for its tea, which is known for its rich body and malty flavour. Within these surroundings, the remote Banyan Grove, located adjacent to the Gatoonga Tea Estates, can be found. Built over 70 years ago, the hotel’s verandas, historical architecture, and local cooking are fully immersive in the locale. 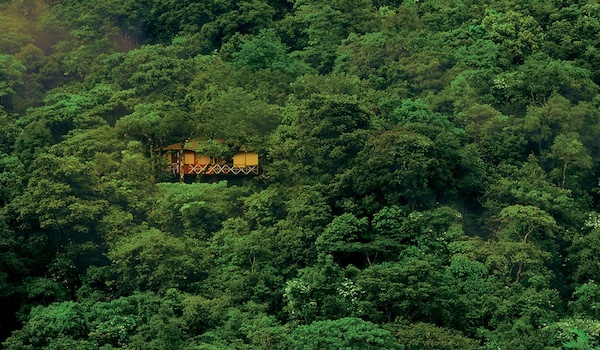 Those seeking a warm weather tea-themed retreat should head to the Vythiri Resort in Wyanad, Kerala. Boasting a tropical jungle setting, the resort offers traditional, rust-hued cottages, while its 150-acre property presents an immersive entry point into nature. 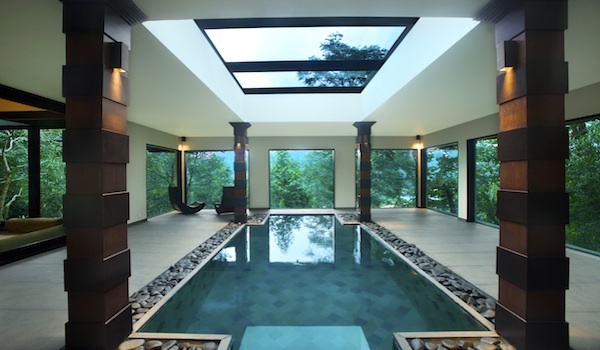 The on-site Ayurvedic spa and freshwater pool provide cooling relief, while those with an adventurous streak will want to explore the surrounding tea plantations of the Western Ghats, as well as the Neolithic Edakkal Caves. From one of the Gateway Hotel’s 19 on-site cottages, guests can take in the plantations of pretty Karnataka. 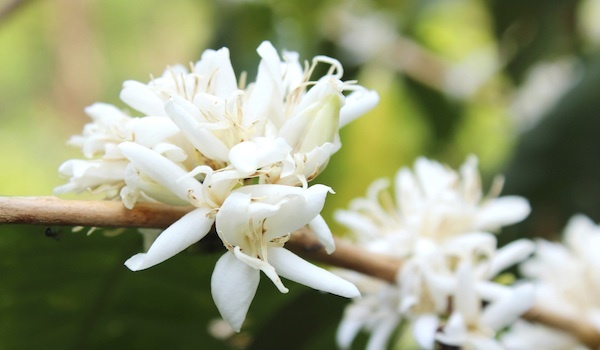 However, it isn’t tea that’s the main crop, here: rather, coffee plants (and their distinctive white blossoms) are what meet the eye. Each cottage hosts its own private balcony with mountain views, while offerings like in-room yoga are designed to have guests feeling fit and fully rejuvenated. 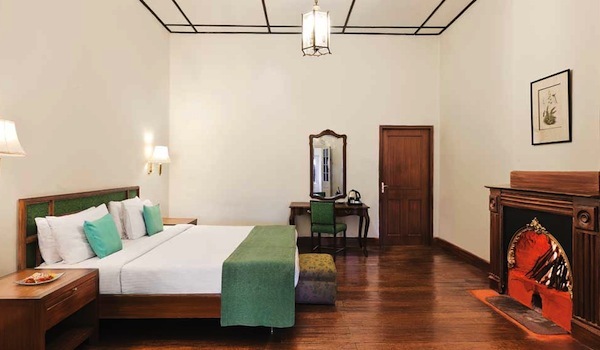 In the heart of Tamil Nadu, the Taj Savoy Hotel provides a historic look into Ooty, set as it is in a 19th century estate offering stone cottages and winding paths. 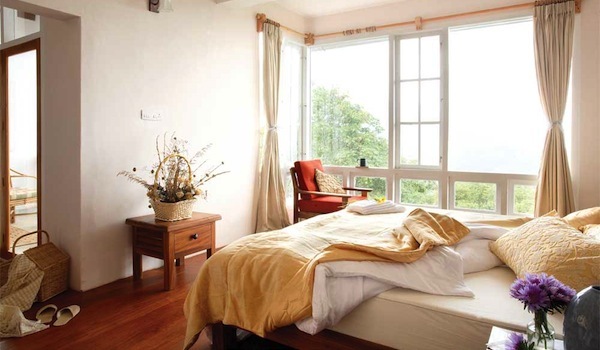 Guests at this luxury spot can take day trips to the nearby tea plantation, go boating in Ooty Lake, and visit the area’s may waterfalls for a relaxing nature-filled Indian escape.